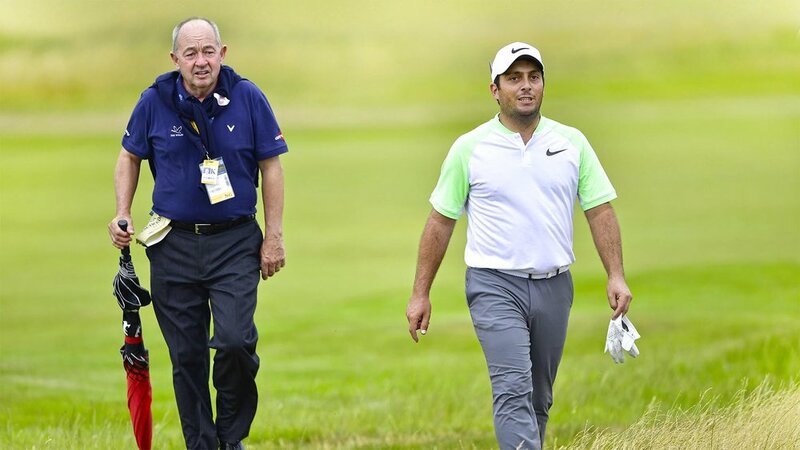 Francesco Molinari was revealed as a new Callaway player last Tuesday, with a multi-year, 14-club deal which includes clubs, putter and ball. On Sunday, he won the Arnold Palmer Invitational for his second title on the PGA Tour. It was better than a dream start for the Italian’s new equipment. 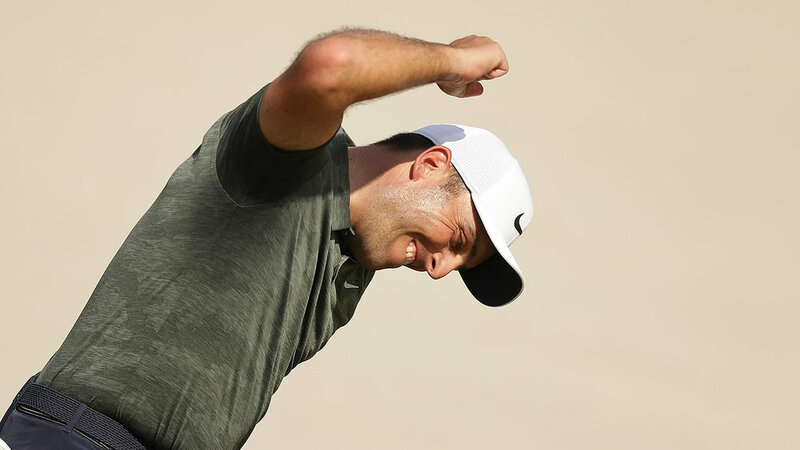 He started the week with an ace on the par-three 7th hole with his Apex Pro 19 4-iron and Chrome Soft X golf ball, and finished in style with a 44-foot birdie putt on the 18th with his new Odyssey Toulon Madison Stroke Lab putter to wrap up a two-shot victory over Matt Fitzpatrick. His final round eight-under 64 included what he called his “best putting round ever”, gaining 4.237 shots over the field, and a driving accuracy of 85.71% with his Callaway Epic Flash Sub Zero Driver. He lead the field in Strokes Gained off the Tee, hit 12 of 14 fairways en-route to his Sunday 64. 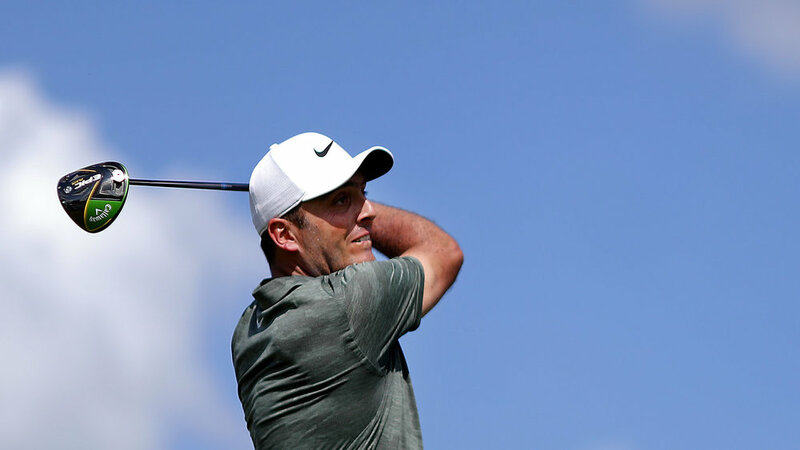 “First week as a Callaway player, so happy to see that the switch I made wasn’t as crazy as some people thought,” said Molinari. “The clubs are good for me and I showed it this week. For me it’s been very easy transitioning into Callaway equipment. The new ball has been really good, the irons have been fantastic… I drove the ball beautifully today, so yeah pretty smooth. 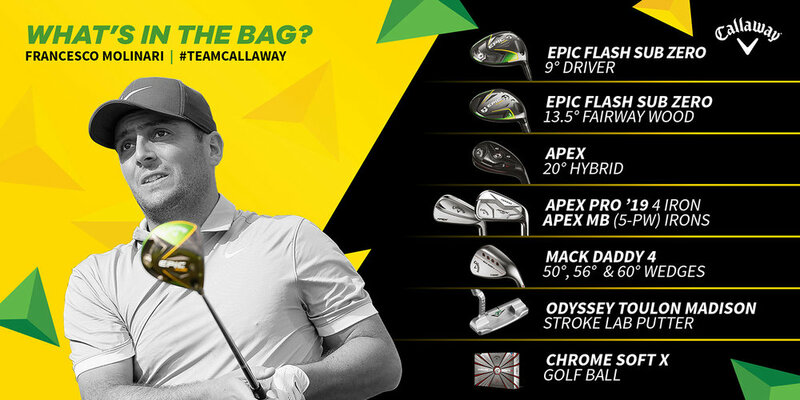 “I need to say thank you to the Callaway team because they fit it into the, fitted me into the new clubs very smoothly and it’s been a very easy transition. 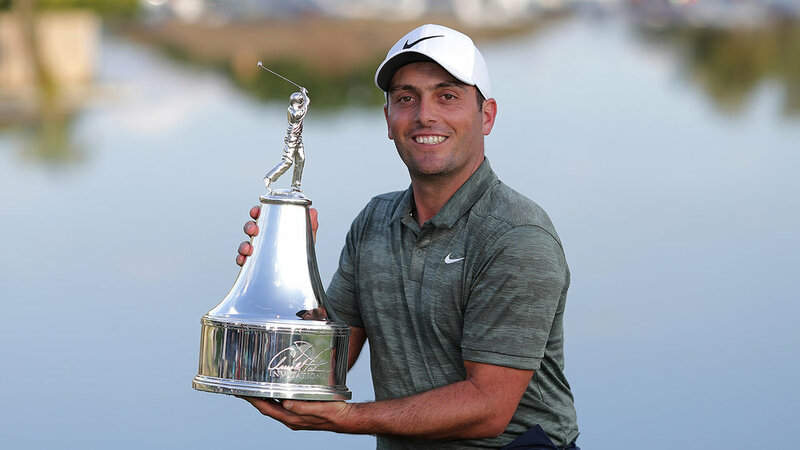 It was Molinari's first victory since claiming the Open Championship in July last year. 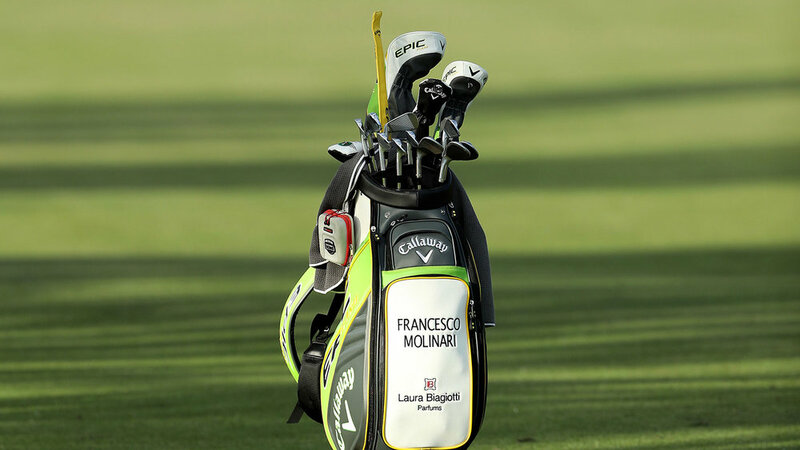 To find out more about Molinari's decision to switch to Callaway, click here. We’re like an old married couple – we’ve been together for 15 years and there’s never been a period where there’s not been any work to do; we’ve always pushed, pushed, pushed. Along the way there have been discussions about how to improve whether it be putting, fitness… all the good stuff. The modern player goes about his job by building a team around him and usually central to that is a coach, like myself, who has been round the block; though the important thing is my ego can’t be such that I don’t recommend we need specialist training to get more athleticism on board. Francesco has had a great season, but the important thing is that the progress of his performance in specific key areas gets better and hopefully they’ll continue to trend and that the results will continue. When I first met him he was plus five, just turning pro and a talented player and a really hard worker, not scared to change things and he didn’t cling on to his swing – but just wanted to get better. It looked to me like he had the package, but you never can tell. When he made the Ryder Cup team in 2010 he didn’t kick on from that; he made the next Ryder Cup team but he wasn’t the number one, two or three on the team sheet, but now he is. There was no point I didn’t believe he was going to be really good, though there was also no point where I dared to be believe he would be this good. I always fancied he’d win a Major, probably the US Open or PGA on courses as they used to be set up, very tight and demanding where level par is a good score. He’s developed into a long hitter now and he’s found an extra 10mph ball speed and 20 yards through a combination of technique, physique and mental attitude. The second thing that’s really improved is his ability to go low – now he can get a run of birdies going and putts and thinks better. He also practices “ugly”, which means he does things under pressure where he doesn’t stop until he’s achieved the targets. He’ll do other tests which are less ugly, but just monitoring tests where I’ll give him a lesson and then Dave Alred will give him accuracy targets. My focus over the past two years has been adding speed and with the increased speed it’s important you don’t lose accuracy so it’s been a case of him seeing how many balls he can hit inside the cones from certain distances. We also looked at improvement in performances and all the measurables, his fitness, heart rate, everything that strength and conditioning coach Rob Goldup can monitor gets better, everything that I can monitor, including speed, gets better, and everything that Dave Alred monitors such as accuracy and performance gets better. All the numbers are there and as coaches we use those, and as it turns out every department has got better figures. His self-belief isn’t manufactured. It’s based on the fact he’s getting better in all departments. You need measurable improvement and then it’s worth doing. The stumbling block is when you don’t see progress and think that things are not working out. We’re not a goal-setting team, we’re a performance-setting team, and our goals are not related to results, they’re only related to the results of the performance and with that in mind it becomes a lot easier for everyone to do their jobs because you measurably know if we’re doing good jobs. If he misses five cuts in a row, but everyone in the team’s improving performance, he’s just not playing well at that moment. Simple. “We’ve continued the work I started with Luke Donald, but made it a lot more refined and demanding. We’ve created an intensity in training so Fran practises with consequences. A lot of people on Tour are convinced that more is more, but that’s also mentally more comfortable. My job is to create a match-like training session which is both unpredictable and variable. The aim is to challenge the mentality that says, ‘s***, I don’t want to miss this.’ That state of negative avoidance does not allow you to perform at your best. I try to test Fran’s mental resilience, and put his putting under pressure while Phil checks his technique. We have a numbers game where if you’ve got a five-foot putt, you get two points if you hole it, zero if you go long and minus one if you hit it short. If you ever three putt, you get minus three. The aim is to get 15 points. We use it as a great initiator of intensity and before good rounds, he never misses a putt. By way of accepting a test as part of your preparation, it actually prepares your mind. On the driving range, Pello, his caddie, will pick out random targets and Fran will have one ball to hit it. Again, Fran can’t predict what’s happening. He has to deal with it, and Denis will check how the swing stands up once it’s put under pressure. That’s invaluable and ensures the learning is much deeper. What we do is constantly evolving, but that doesn’t mean we focus on weaknesses. I don’t believe in even acknowledging them. We focus on all areas of the game; that way everything gets better. That’s the approach you need to have in golf because everything changes day-to-day. You can putt well one round and the next you can’t hole anything. I only started working with Fran in March. I got a phone call just after the WGC in Mexico and he’d been struggling for a while. He felt like he needed a different opinion so I met up with him at Bay Hill later that month, and told him that he needed to change quite a few things. It was clear that he was struggling to start the ball on line. Basically, that’s linked to mechanics. I was pretty honest and open with Frankie, but he asked me: “What do I need to get better? Don’t hold back”. We then embarked on some drastic changes, but he didn’t fear that. He knew he needed to take those steps to get better. Because of the push in his stroke, Fran’s instinct would get him to aim left, but often that wasn’t enough. The main thing we tried to do was to take out the push in his stroke. We then changed his posture, his grip, his arm position and the concept of how he started his stroke, so it felt like he was pulling everything. As that improved, we looked at ways to tidy his aim up so it matched his stroke. That’s why we changed his putter. He was using a mallet with quite a long sight line on it. He actually found that he lined up the putter better when it didn’t have any lines on it. We also shortened the putter because it was too long. That goes back to the posture which we corrected. He’s now got more torso bend and connection with his arms, and has spent a lot of time on grooving his speed control and tempo. Fran used to get very quick and long going back, which would cause him to decelerate. That also made it harder for him to synchronise his torso and arm motion on the downswing, particularly on short putts. That was something we really focused on in the build-up to when he won in the US and at The Open. It was evident to everyone, including Fran, that if he could putt better, then it would have a significant impact on his results. When I started working with him, he was losing something like one and a half shots per round. That’s an awful lot to give away on the greens. But he was prepared to challenge himself, and his attitude and hard work meant that he was able to implement the changes quickly. His stats are now much better, but there’s room for improvement. If you look at the level he performed at last season, there were still plenty of people who he’s competing against who can putt better. But he knows that, and he’s got the temperament and skill to make that improvement.